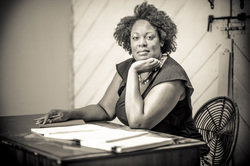 On January 26, 2012, Jacqueline E. Lawton will discuss on the The State of the DC Playwright: A Town Hall Conversation (Theater J). This monumental town hall conversation hosted by Theater J and DC-Area Playwrights Group will be moderated by Gwydion Suilebhan (Playwright). Additional panelists include Renee Calarco (Playwright), Jon Spelman (Playwright), Stephen Spotswood, (Playwright) and Laura Zam (Solo Performance Artist). Honored guests and invited respondents include David Dower (formerly American Voices New Play Institute/currently at Emerson College for the Art), and Jason Loewith and Jojo Ruf (National New Play Network).